Like so many little girls, Narissa Jenkins, the Founder and Executive Director of Healing Hoof Steps dreamed of one-day finding life with her passion for horses. Her parents had hoped that she would eventually outgrow her love of horses, but it never happened. It was a flame that seemed bleak at times but always remained as life unfolded with marriage, career, two children and later a divorce. During the healing process after the divorce, she met her husband, Ben Jenkins. He had been in sobriety for many years and shared his knowledge of the AA Program with her. “I remember him asking me if I had any hobbies,” Jenkins said. “I was a single mother of two young boys, what on earth was a hobby?? ?” When he shared that it could be anything that brought her joy and that no one else needed to feel the same, she knew it had something to do with horses. Not knowing at that time, his advice to find a horse to be around was what reignited the flame that she had kept reserved for so many years. This therapeutic hobby would become the catalyst to what is Healing Hoof Steps today. 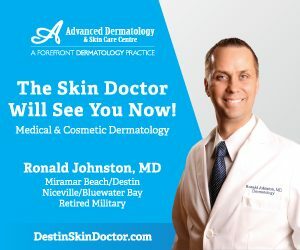 She maintained her career in the business and marketing world here in Northwest Florida and then to Orlando. “I loved working with diverse people and understanding the psychology of why people do the things they do in their businesses.” Helping people with their business marketing needs and watching them succeed also became a passion of hers. “Working in radio, television, marketing, and digital were fulfilling for many years,” she said. “Until one day I thought, why am I doing this?” She wanted to do something that would combine her passion for helping people and her love of horses. While living in Orlando in 2013, she began her search for knowledge about equine therapy programs and research. She visited as many trainers and programs, as she could, to gain insight on the pros and cons of building an equine therapy facility. That’s when she met her friend and mentor, Dr. Manette Monroe, M.D., M.Ed. 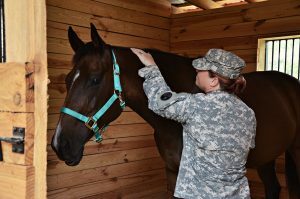 Dr. Monroe’s research focus is on the efficacy of utilizing Equine Assisted Therapy for the treatment of post-traumatic stress disorder in American combat veterans. As the daughter of a retired Vietnam Veteran, Narissa knew firsthand the effects that P.T.S.D. could have on a family. Back in the 1980’s, P.T.S.D. was not something that was at the forefront of research; nevertheless treated as widely as it is today. Narissa knew she wanted to help others, especially since she understood the struggles of growing up in the untreated aftermath of P.T.S.D., because of her father’s battle. She found a new treatment modality, EAGALA. This treatment involved her love of horses and helping others out of their struggles with mental health issues. 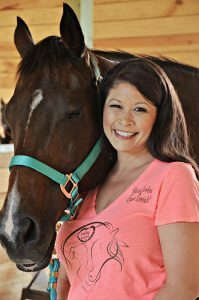 Narissa became a Certified Equine Specialist with the worldwide organization, EAGALA (Equine Assisted Growth and Learning Association, www.eagala.org) in 2014. Growing up in Northwest Florida, she knew the importance of honoring and serving our military community. She discovered that there was a lack of support options in the area for those struggling with the mental and emotional effects of combat. The decision to move the family back home and offer equine-assisted therapy in our community was an easy one to make. Her business and marketing background told her that an easily accessible location would be a vital key to the success of an emerging concept in the area. 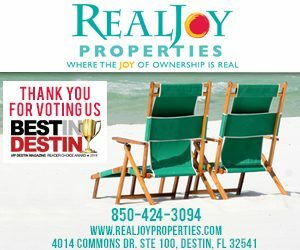 Unlike, most horse-ready properties that are over the river and through the woods, she chose a location that is 5 miles East of Crestview and a ¼ mile off the main road. “The rest we can build in time,” she said. Healing Hoof Steps found its forever home at 3922 Jace Drive in Crestview, Florida, in late 2015. Like most non-profits, it was an agonizingly slow start. 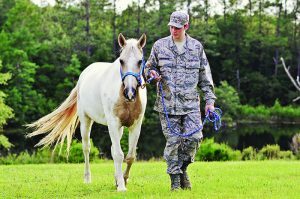 Healing Hoof Steps needed a Licensed Mental Health Counselor who knew that they would not be just out brushing horses in a field with clients. This search would prove to be one of the most challenging activities to date. In 2017, Narissa received an email through the www.HealingHoofSteps.org website. It was from an EAGALA Military Designated Therapist and Licensed Mental Health Counselor named Connie Baldwin. 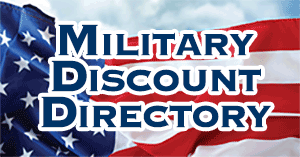 Connie’s husband was recently stationed at Eglin AFB, moving across the country from Oklahoma, and before that Texas. During her years in Texas, she was a Team Leader for the Lone Survivor Foundation. The Lone Survivor Foundation was founded by Marcus Luttrell to provide therapeutic retreats, at no cost, for service members and their families affected by Post-Traumatic Stress, mild Traumatic Brain Injury, Chronic Pain, and Military Sexual Trauma. In 2013, Mark Wahlberg played the role of Marcus Luttrell in the biography, Action and Drama movie, Lone Survivor. Connie was an integral part of building their success and helping hundreds of veterans and their families. At the time of their move to Florida, Connie no longer owned any horses of her own and realized that she was giving up her passion for Equine Assisted Therapy. Then, late one evening on the computer she found Healing Hoof Steps. The rest is history. Since their serendipitous meeting in 2017, Healing Hoof Steps has experienced some incredible growth. They currently contract with the Florida Juvenile Justice Foundation to serve the at-risk youth in the Juvenile Detention Center. 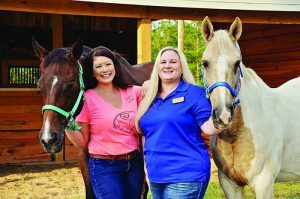 Healing Hoof Steps will be offering Personal Enrichment Courses through Northwest Florida State College this Fall in addition to their individual and group clientele. 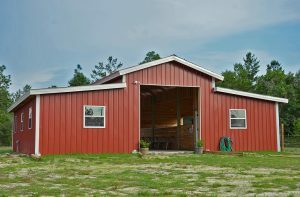 Through a large private donation in early 2018, a barn with a finished office and bathroom were constructed on the property. “The completion of the barn marks the end of the 1st Phase of the Healing Hoof Steps Plans,” said Narissa. The second phase entails grant writing and fund-raising efforts to construct a covered arena to serve larger groups in any weather conditions. The 3rd and final phase would be to be able to provide overnight housing on the property to offer multiple day retreats for intensive therapy. In addition to the Equine Assisted Therapy program, one day we hope to provide rescue services for horses in our area that are in need. If any local Licensed Mental Health Counselors or horse owners would like to become certified in Equine Assisted Therapy, Healing Hoof Steps will be hosting the Fundamentals of the EAGALA Model Training this December 5-9 at the Baker Arena. To register and for more information visit www.EAGALA.org. EAGALA is a worldwide organization who facilitate the certification, ethics and continuing education of Equine Assisted Therapy professionals. Never give up on your dreams; no matter what life throws at you. It might have taken nearly 35 years to understand, but that little girl’s dream of working with horses and helping people has blossomed into a beautiful reality.